An ultra-plush lash primer with a conditioning base that maximizes the benefits of your favorite mascara for lashes that look longer, fuller and more dramatic. Take your mascara to the next level with Velvet Primer. The creamy, conditioning formula coats your lashes to maximize the benefits of your favorite mascara. Lashes look longer, fuller and more dramatic. The soft-beige color helps you cover every lash, making it easy to apply evenly from root-to tip. Unlike a traditional white-colored lash primer, the unique shade helps intensify your mascara and won’t gray it out. This ultra-plush primer gives you the full treatment for lashes that feel luxuriously soft and healthy, not brittle or dry. It also helps prevent your mascara from flaking. For the most irresistible, over-the-top, false-lash look, this is your go-to step before mascara. Redefine your look this spring with MARC JACOBS BEAUTY! 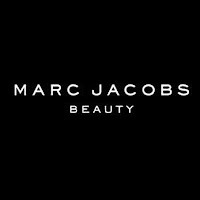 MARC JACOBS BEAUTY has a huge line up of amazing products to help you look your best. I had the pleasure of trying the products above and boy are they the perfect way to redefine your look! 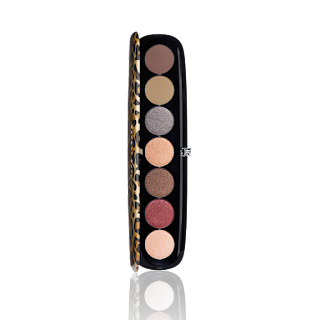 The MARC JACOBS BEAUTY eye-conic multi-finish eyeshadow palette is not only gorgeous on the outside but the shades are absolutely stunning. It's a plush eyeshadow palette in a reflective chrome compact, featuring seven shades in four fashion finishes. The four fashion finishes are buttery matte velvet, shimmering satin, sparkling silk, and metallic lamé to layer and dress your eyes up for a night out on the town, or a day a work. It's the perfect palette! 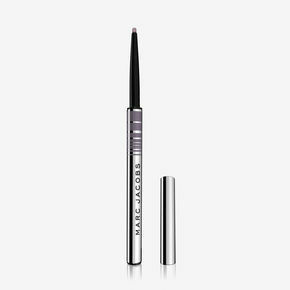 fineliner ultra-skinny gel eye crayon from MARC JACOBS BEAUTY is the perfect way to help your eyes pop! It's an extremely fine Highliner Gel Eye Crayon in a revolutionary 2MM unbreakable tip to give you precise application. This amazing gel formula glides on with ease for a flawless application that you will love. It's the perfect way to give your eyes some definition! 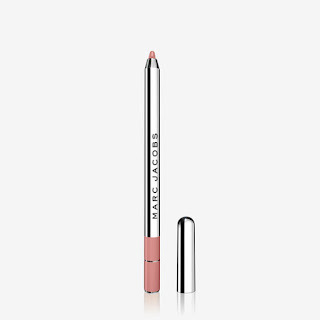 (p)outliner longwear lip pencil from MARC JACOBS BEAUTY is my new favorite lip pencil! It's a gel-based, collagen-infused lip liner that both you and your lips will love. The collagen-infused lip liner helps to help fill in lines, define and shape lips. It's designed to work seamlessly with the full spectrum of Le Marc Lip Crème lipsticks and New Nudes Sheer Gel Lipsticks. There's no feathering and lips look full and plump all day long! MARC JACOBS BEAUTY's le marc frost lip creme is amazing! It's a rich, creamy lipstick that provides indulgent color and a metallic frost finish while providing 10 hours of wear. 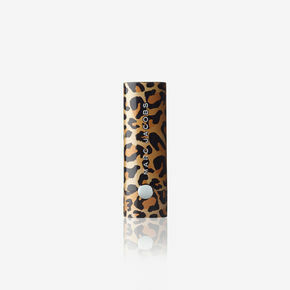 It comes in a sleek leopard-print case and provides you with beautiful color with one swipe. I also love that it instantly plumps and nourishes lips with powerful peptides, antioxidant-rich seaberry, and natural humectants, including meranti and cocoa butter. It also has a subtle vanilla taste and scent so your lips smell and taste just as pretty as they look. 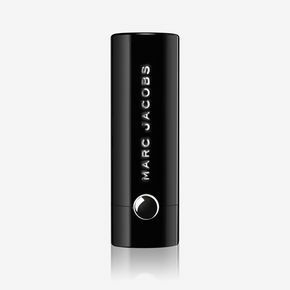 le marc lip crème from MARC JACOBS BEAUTY is gorgeous! It's Marc’s new revolutionary 10-hour lipstick that covers your lips with buttery, creamy vibrant pigment with one pigment-saturated swipe. It's incredibly hydrating and the shades are oh so flattering. It too contains powerful peptides, antioxidant-rich seaberry, and natural humectants, including meranti and cocoa butter. It's the perfect way to dress up your lips! 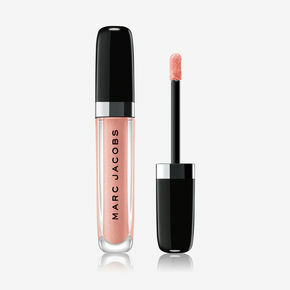 enamored lip hi-shine gloss lip lacquer from MARC JACOBS BEAUTY is my new favorite lip gloss! It's an Enamored Hi-Shine Gloss Lip Lacquer Lipgloss that delivers maximum color and brilliance with each coat. 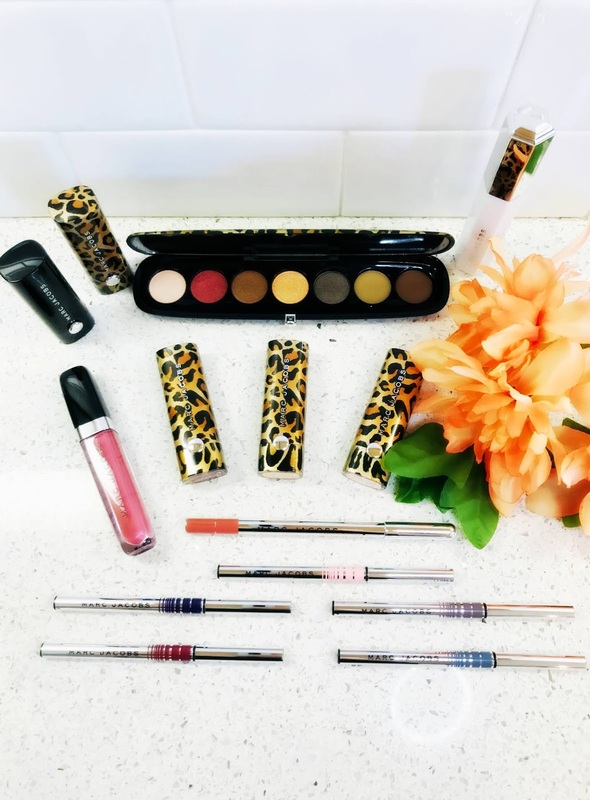 I absolutely love its mint-scent and that the collection features an array of creamy pinks, shimmering lavenders, and iridescent brights that give lips a lush look with lasting color and unbelievable shine. It plumps lips, adds amazing shine all without the typical sticky feel of lip gloss. It's the perfect lip gloss for all occasions. velvet primer epic lash primer from MARC JACOBS BEAUTY is the perfect way to prime those lashes! It's an ultra-plush lash primer with a conditioning base that maximizes the benefits of your favorite mascara for lashes that look longer, fuller and more dramatic. It goes on incredibly smooth and definitely gives lashes a boost. 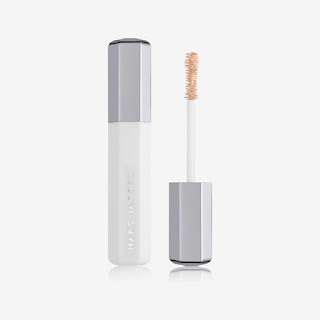 It has a soft-beige color that helps you cover every lash from root to tip. I also love that unlike a traditional white-colored lash primer, the unique shade helps intensify your mascara and won’t gray it out. Lashes feel soft and look incredibly full and voluminous. It's a must have in any makeup routine! MARC JACOBS BEAUTY has everything you need to redefine your look this spring!